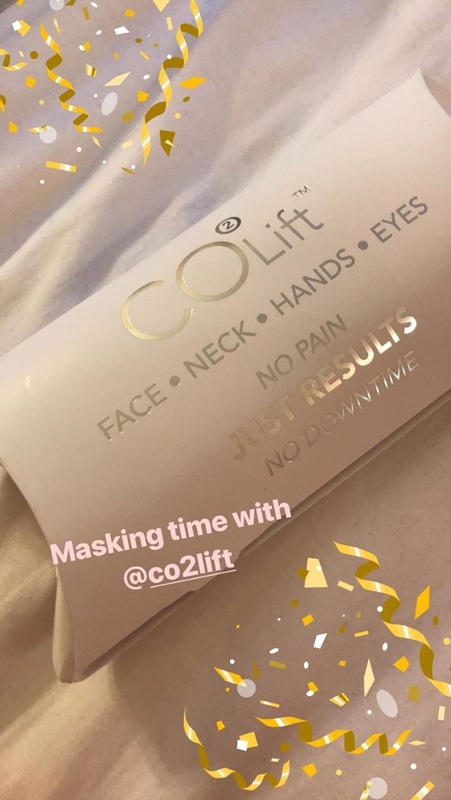 As you may know I'm no stranger to mixing my own face masks, but this was my first time trying out a product like CO2 Lift. CO2 Lift is a holistic anti-aging face mask claiming to lift, hydrate, and brighten the skin. The kit includes 2 gel packets, a cotton headband, and a stirring stick. You simply mix the two gel packets together and apply to your face, neck, and even your eyelids. The mask can be left on for up to an hour. I left mine on for about 45 minutes before peeling it off. Application was quick and easy. The gel was refreshing, had a pleasant scent, and was cooling. I've never used a mask on my eyelids, this was an odd feeling but it felt similar to using cucumbers. Removing the mask was easy, I simply peeled it off and rubbed the remaining serum into my skin. As someone who still has slight discoloration and spots from past acne this mask seemed to do a great job at brightening my face. My skin also felt incredibly hydrated. My skin had a gorgeous glow after using this product, it's the ultimate product to pamper yourself with! I would definitely recommend giving this mask a try if you suffer from discoloration, dryness, or just want to treat yourself. Thank you CO2 Lift for providing this mask for review, I had a blast testing it out!